It is with deep sadness that I share the passing of Ralph J. Cicerone, chancellor emeritus and longtime friend of the university. He died this morning at the age of 73. Ralph arrived on campus in 1989 as a renowned scientist and expert in atmospheric chemistry who went on to found UCI’s Department of Earth System Science and serve as dean of the School of Physical Sciences. 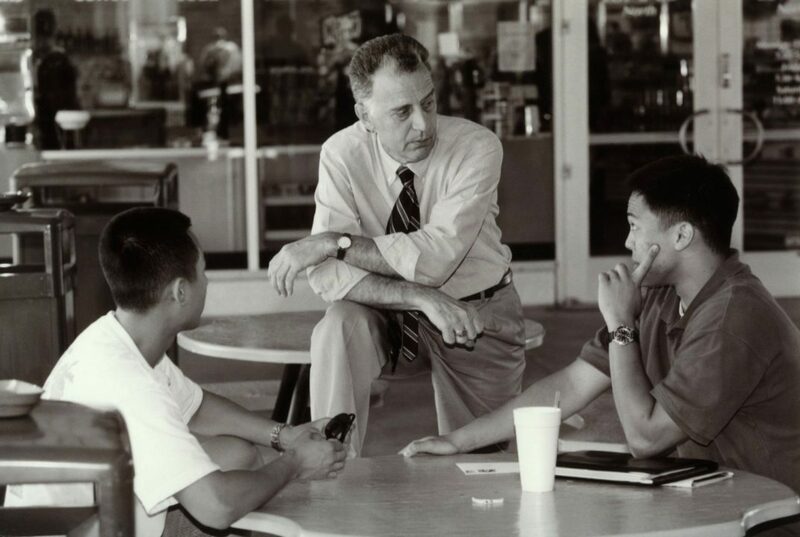 In 1998, Ralph was appointed chancellor and ushered UCI to new heights over the course of his seven-year tenure. During his administration, UCI experienced an overwhelming period of growth and achievement. The campus soared in national rankings, undergraduate admissions became increasingly selective, private funding grew tremendously, and construction began on the $375 million teaching hospital at UC Irvine Medical Center. He left the campus in 2005 when he was elected president of the prestigious National Academy of Sciences but remained an active member of the Anteater family. Earlier this year, he served alongside me as a panelist for UCI’s Future of Higher Education symposium, where he called access to higher education a basic American value that empowers individuals to achieve their dreams. Ralph was born May 2, 1943, in New Castle, Pennsylvania, and earned bachelor’s, master’s and doctoral degrees in electrical engineering at the Massachusetts Institute of Technology and the University of Illinois at Urbana-Champaign. He then joined the faculty of the University of Michigan as a professor of electrical and computer engineering. Ralph went on to serve as a research chemist at UC San Diego’s Scripps Institution of Oceanography before being appointed director of the atmospheric chemistry division at the National Center for Atmospheric Research in Boulder, Colorado. Ralph had an enormous influence on our campus, the UC system and higher education. His innovative research projects in atmospheric chemistry, climate change and energy helped shape science and environmental policy at the highest level. Among his many accolades is a citation on the 1995 Nobel Prize in chemistry, which was awarded to his colleague F. Sherwood Rowland; the Bower Award & Prize for Achievement in Science from the Franklin Institute; the Roger Revelle Medal from the American Geophysical Union; the Albert Einstein World Award of Science from the World Cultural Council; and the UCI Medal. Outside his impactful academic and research presence, Ralph was an avid supporter, fan and lover of baseball. His dedication to the sport led to the return of UCI’s baseball program in 2002 and the refurbishment of Anteater Ballpark, where the field was later named in his honor. For his powerful and profound work as a chemist and Earth system scientist, and for his recognized stature in his discipline, we in academia salute Ralph Cicerone. For his courageous work uncovering the causes and effects of climate change, the world owes him a debt of gratitude. And from UCI, we offer Ralph our own special thanks for his extraordinary contributions to the global preeminence of this institution. His support of and devotion to our campus continues to be felt by students, faculty, staff and alumni today. Ralph will be dearly missed. Our sincerest condolences go out to Ralph’s wife, Carol; their daughter, Sara Cicerone; and their twin grandchildren.